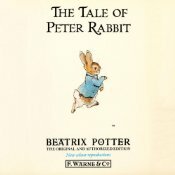 Get The Tale of Peter Rabbit AudioBook From Audible for free. Add it to Cart and proceed to checkout. Sign in with your Audible or Amazon account to download the audiobook. I would like this one for my son.